To understand why a tiny replica of the new Star Wars droid BB-8 has caused such a fuss, and sold out at certain retailers already you have to go back to the Anaheim Star Wars Celebration. On stage was R2D2, who we all know is a real robot but what we all also assumed was that BB-8, who was seen briefly in the trailer, was CGI. JJ Abrams the proceed to blow all our mindas by announcing that, it was not actually computer generated, but a physical prop. BB-8 rolled onto the stage, and the crowd went wild. And rightly so, because the reliance of George Lucas on CGI is something of a bugbear of the Star Wars faithful. And Abrams, it has to be said, isn’t exactly shy when it comes to generating images with computers either. 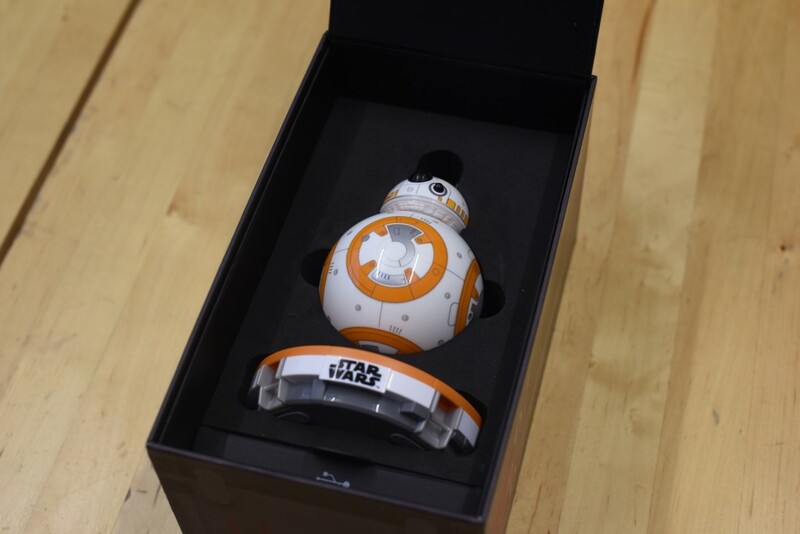 At the time though, we didn’t know who had helped build BB-8, and that there would also be a toy coming. 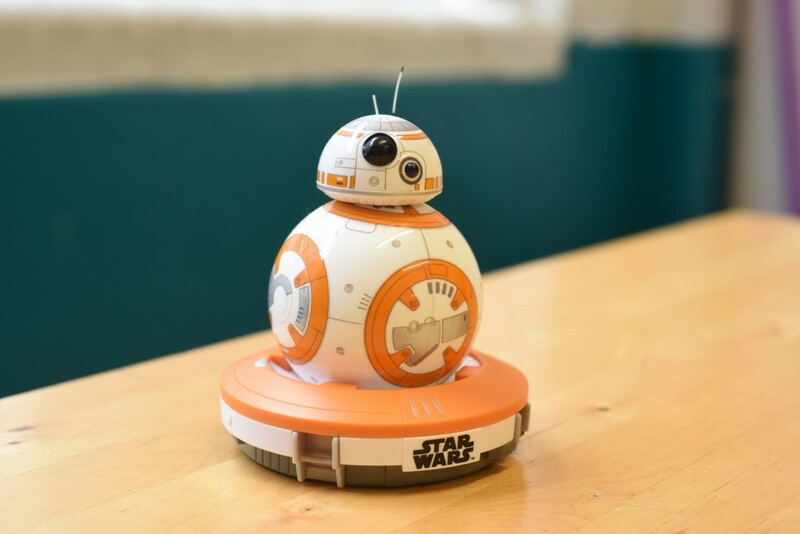 In fact, the reason there is a toy is that Sphero, which has been making cool rolling robots for some time was the company that Bob Iger found to help with the technological side of BB-8. Toy replicas, it seems, might have been a key part in the inclusion of BB-8 all along, but I can forgive that blatant commercialisation in this case, because it’s so cool. To get my hands on a BB-8 I headed to London’s East End to see retailer Firebox, one of the few companies selling this little droid in the UK. Firebox has been involved because it has a long-standing relationship with Sphero, and the two companies have been selling loveable spherical robots together for a number of years. To look at BB-8 is everything you’d hope. He’s small, but that’s fine because most of us don’t have room for the full size prop in our homes. He’s also every bit as round as you’d hope. His round head attaches via a strong magnet and when you put it in place it snaps around to the right location. 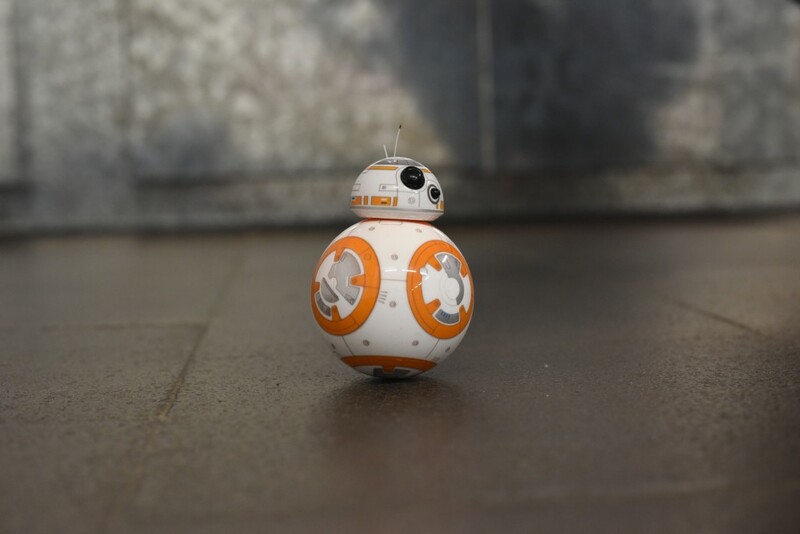 A pair of wheels help it move over the body of BB-8 when he’s on the move. Also in the box is a wireless charging station. This is ingenious because you just plop BB-8 in the ring, and he starts charging. He can also do things while he charges, like move his head about, which is frankly adorable. Pop him off, and he’s ready for action. A smartphone app allows you to pair with him. Hold you phone close to his body and the pairing takes just a couple of seconds. BB-8 glows while this is happening, and then he’s ready to roll. The surface you place him on has a big impact on how he works. We tried a table and he made a dive for the floor. On carpet, or even smooth tiles he’s fine though. Speeds aren’t massive, but they’re quick enough to have a lot of fun with him. The app also features a little bit of AR. Point it at BB-8 and you can watch holograms play – as in that famous scene in the original movie with the immortal line “help me Obi-Wan Kenobi, you’re my only hope”. It’s not a massive selling point on its own, but it’s a nifty little trick that could be used to add even more cool video right up until – and perhaps beyond – the arrival of the new Star Wars movie. 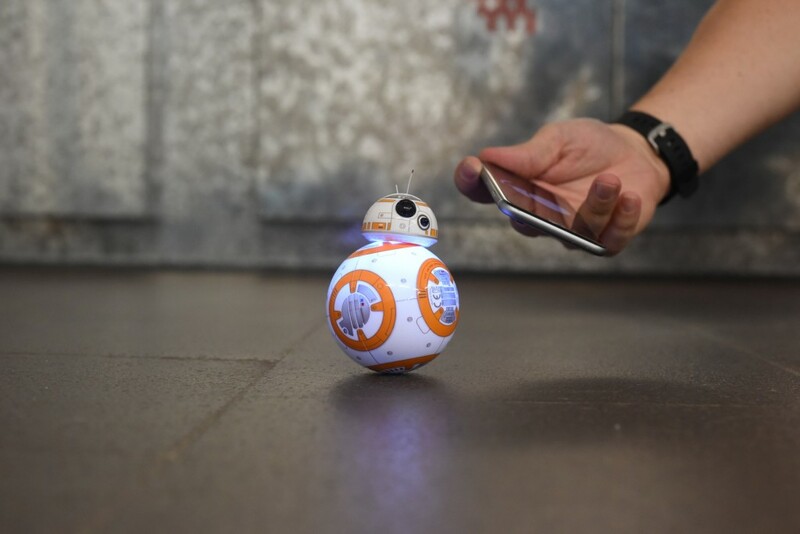 So, should you spend $150 on BB-8? If you have kids I’d say that’s a no-brainer. If you’re a thirty-something-year-old, as I am, it’s also a no-brainer. BB-8 is terrific fun, he’s a great toy, an amazing piece of movie memorabilia and I promise you’ll get load of admiring looks if you take him out when you have guests over. Sphero should be applauded, not only for helping to bring a movie prop to life, but also for making a really fun toy.